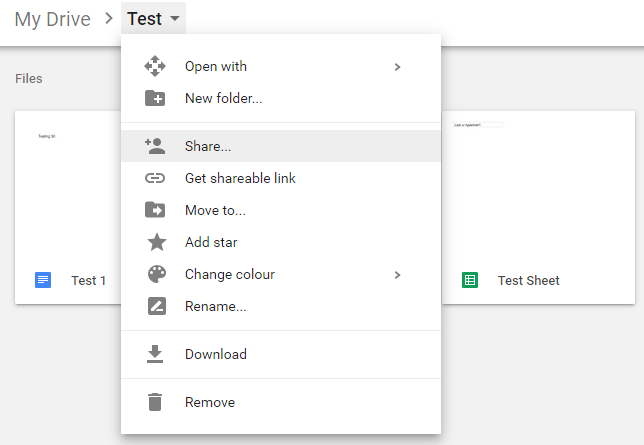 Is it possible to setup a folder on Google Drive so that users can access the files within it if they have a direct link but they cannot see the folder if they browse to its parent? The Log of Files spreadsheet contains basic information about all those files as well as a direct link to each. Scripts in the spreadsheet create the files in the Files folder (using the current user's authorization) and store their direct links in the log. The files are named as their record identifier. For example, the log might have record ABC170001 and the file for that record would be named ABC170001. Users have a tendency to want to rename it to something they can recognize when browsing the folder such as Widget 1234 move to new supplier. This behavior can mess up the scripts in the log spreadsheet. Problem: I haven't found a setting that hides the folder without also removing their ability to edit the files after opening them with the direct link. Marking the folder as hidden. Problem: I haven't find a property to do that. Setting the property rights such that users can see the folder but can't open it and then setting the access rights for each file (when it is created by the script) such that anyone in the company can open/edit with a direct link. Problem: I haven't trying changing access rights in Google Script yet and didn't want to spend the time with trial & error unless I thought it was likely to succeed. Moving either the log or the folder somewhere else, thus obfuscating it from the user but not actually hiding it. Problem: I'd like to avoid this option until I'm sure a more direct approach isn't available. Share the folder with specific people instead of everyone with a link and then creating an installable trigger (or some other means) that runs under my authorization to create the files and set each authorization to "Domain with Link". Problem: I haven't worked out how to let the user trigger it on demand and have it run under my access because the installable triggers seem very limited. I'm still trying to figure out how that could work. Set the hyperlink to link to the appropriate file they need to edit. The Hyperlink should be generated with "Anyone with this link can edit the document"
Then when giving out the link for the log of files document set it as Anyone can view. Don't give anyone permissions to view the folder just the files, meaning they can't edit your log of files file but the links should take them to an editable document. I am posting this as an answer simply to capture my particular solution for the future. SleepingGod's answer pointed me in the right direction because I learned there was no way to share the folder in general while still hiding it so I had to find a way to run the functions as a different user. Stack Overflow already had a question about that so I was able to construct my solution based on that. Next, I deployed it as a web app and allowed access to anyone, including anonymous. If you use some other access level, the function will return the HTML of the page asking the user to sign in. 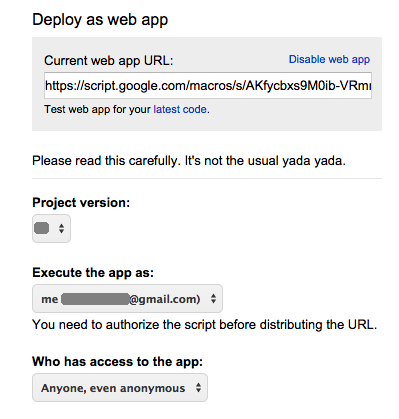 I copied the URL it gave me and plugged it into a call from the script within the sheets file. Since the web app returns the ID of the copied file and the function returns the result of the fetch, I can get the ID of the copied file anywhere I want in the script. How do I log access to folders in Google Drive?